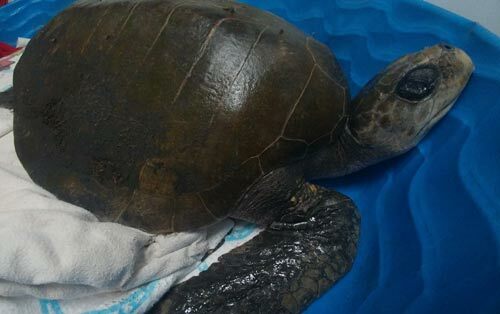 (Rockaway Beach, Oregon) – Seaside Aquarium crews were called to help rescue a stranded sea turtle in Rockaway Beach on Thursday morning, but Friday the sad news came the turtle did not make it. (Photos courtesy Tiffany Boothe, Seaside Aquarium). 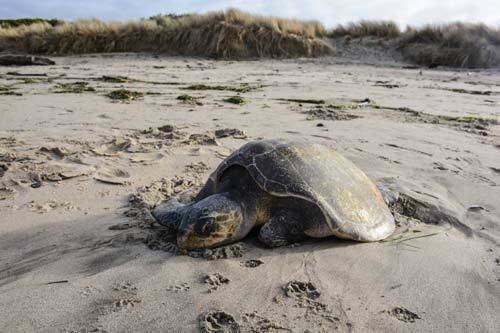 Strandings of these creatures become more regular this time of year on the Oregon coast. Only two places in the region can deal with the rehabilitation of rescued sea creatures: Oregon Coast Aquarium in Newport and Seattle Aquarium. This one was sent to Seattle for help, and Seaside staff were hopeful for its survival and eventual release back into the wild. Then the aquarium found out the news today, the morning after the rescue. 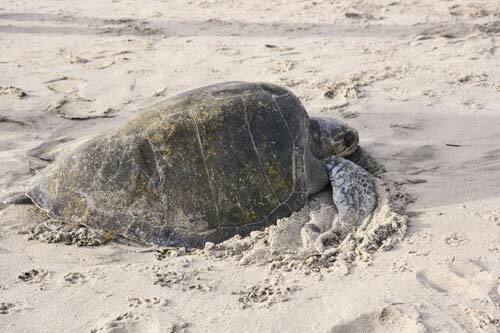 The Olive Ridley sea turtle – known as Lepidochelys olivacea – is named for the green color of its shell, which is heart-shaped. It is one of the smallest species of sea turtle. Experts say ocean conditions are causing these creatures to strand because of currents that trap them in the wrong temperature. The turtles may be following warm water, but those currents are surrounded by cold water. According to Jim Burke of Oregon Coast Aquarium, this puts them in a difficult situation. 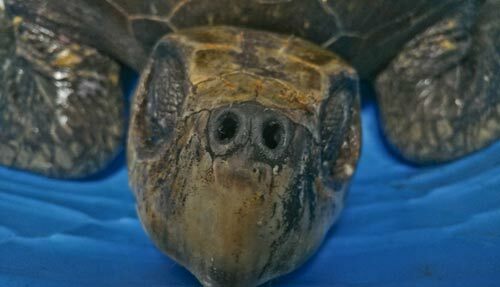 “Once the warm water dissipates, they become hypothermic and go into a hibernation-like state, called brumation, and they can no longer navigate or survive,” Burke said. Burke said reptiles can slow their metabolism, which allows a window of time when they can be rescued, rehabilitated and successfully released. 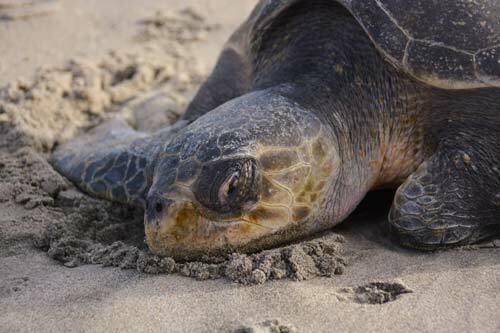 All species of sea turtles are protected under the Endangered Species Act. These turtles’ natural habitat has a temperature of about 70-85 degrees, but these poor critters wound up in water that was less than 50 degrees.